A Fabricated Journey: A textured road! O.K. it's getting late here in Australia and I'm in the middle of arguing with a layout, so I've decided best to leave it alone till morning and approach it with fresh eyes. 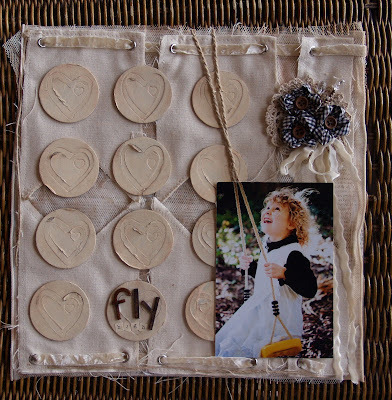 Instead I'm going to post this layout I did for Maya Road and Scrapbook Creations before I hit the hay! The theme is Monotone -tone on tone! 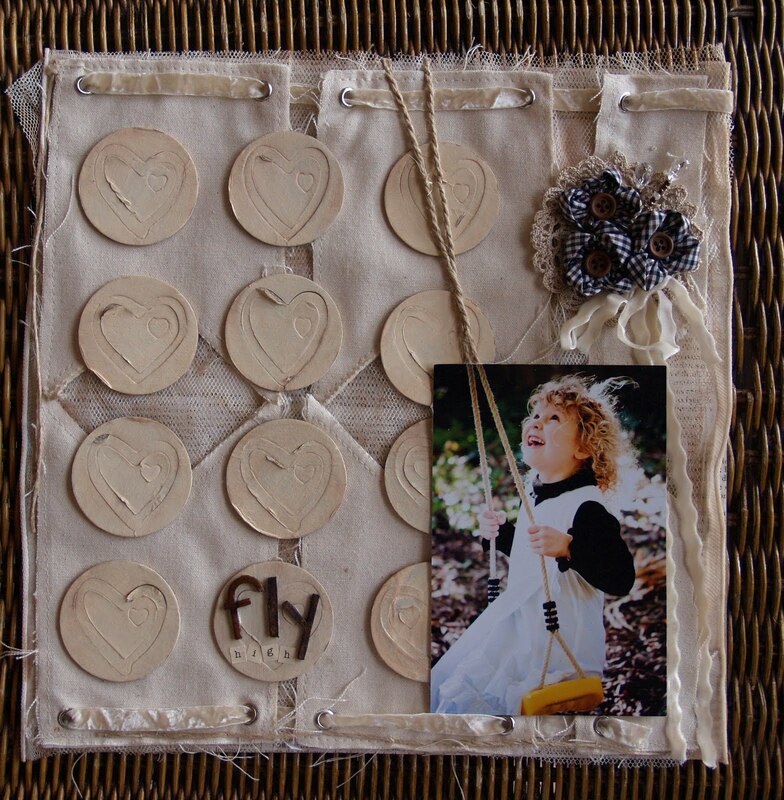 Products: Heart chipboard, Canvas Pennant book, Signature Ribbon Set and Fabric flowers. I'm having a little chuckle here because I "argue" with layouts too hehehe. Geraldine, I love this one too! 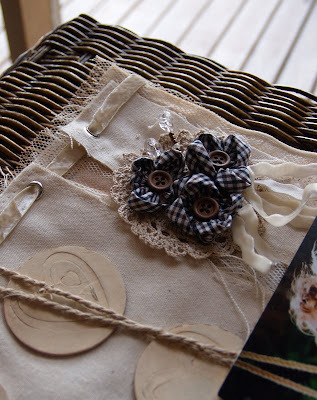 Love how you can use canvas and fabric and come up with stunning pieces.